Twenty years of experience coupled with an enduring spirit of youthful enthusiasm is the yin-yang balance that makes Dorrington Atcheson Architects a team that has produced so many award-winning buildings for their clients. While every project calls for a fresh eye and an innovative approach, directors Tim Dorrington and Sam Atcheson also draw upon their considerable experience within the New Zealand marketplace. Specialising in residential design, but with a proven track record in retail and office environments, this boutique company has quietly made their mark on the built environment winning several NZIA Awards. Their methodology is highly collaborative so, while DAA favour contemporary design that takes its cue from mid-century modernism, their role is not to dictate but to engage with the requirements of home-owners and clients. Responding to site, budget and idiosyncrasies is all in a day’s work. This honest approach is reflected in the materiality of their buildings where natural products are celebrated. Dorrington Atcheson Architects design functional spaces with measured proportions, a simplicity of structure and just enough surprise to delight. Rafe Maclean Architects is a Wanaka based architectural practice dedicated to producing elegantly crafted building solutions through innovative use of interesting materials. 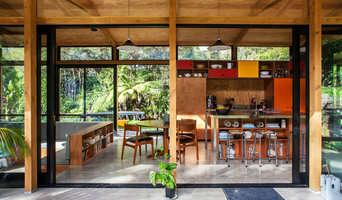 Rafe Maclean graduated from Victoria University of Wellington in 1996 with first class honours in Architecture. Following graduation, Rafe worked with John Daish Architects, Herriot & Melhuish Architecture and New Work Studio before establishing Rafe Maclean Architects in February 2005. Rafe Maclean is a Registered Architect and architect member of the New Zealand Institute of Architects, and is a Certified Passive House Designer, certified by Passivhaus Institut, Darmstadt, Germany. The work and ideas the practice is producing are playful and visually legible, with detailing that is sensual, sustainable and well crafted. Rafe Maclean Architects is focused on residential and small commercial projects. Our office is intentionally small enabling us to produce very high quality project outcomes, with a high level of interaction with the design team and clients. This allows us to perform a select number of projects per year, dependent on project size. We look forward to discussing your project with you. 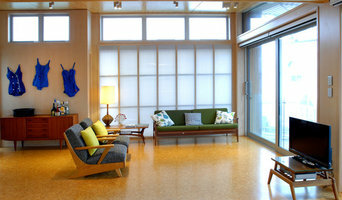 Young Architects is an award winning practice, specializing in designing cost effective beautiful homes and apartments. They're winners of Houzz Best in Design 2015, 2016, and 2017. We are a Christchurch based Architectural and Interior Design Practice creating intelligent award-winning designs. Lead by Cymon Allfrey and Craig South, our dedicated team are people driven and credit client satisfaction to our success. With a passion for innovative and individualised design, we employ a collaborative approach in order to provide our clients with an outcome that far exceeds the dream they originally set out to achieve. We pride ourselves on our considered approach to design, with awareness of the environment, location and client needs all working harmoniously together to ensure an enduring and bespoke result, unique to the client and their site. We recognize the significance of our working relationship with our clients, and the effect we have on the life changing journey you are embarking on. We believe we have a responsibility to ensure our clients’ journey is as stress-free as possible and strive to build professional, sincere and honest relationships that remain strong even after the project is complete. At Allfrey + South Architects Limited, we appreciate the importance of celebrating successes, not only at the completion of a project but throughout the process and look forward to the opportunity to share in your journey. Be it a coffee to celebrate the foundation being poured, or a pinot on the terrace to admire the finished product, we are with you, every step of the way. If your renovation is more than a simple benchtop replacement or roof re-tiling job, then it may be time to find an architect who can manage your project from start to finish. Depending on the architecture firm you hire, the scope can span from planning sustainable design into your renovations, to selecting furniture and even interior finishes. An architect is often the first person you hire for your project. Before taking steps to find an architect, ask yourself what you want to achieve from your renovation or home construction. Do you want to improve the liveability and sustainability of your home, or simply expand? What style of architecture do you prefer? Once you have established your motivation, research architects that have completed similar house designs in your locale and within a comparable budget to yours. Ideally, your architect will be involved in all phases of the design process, from the initial concept to the completed construction. Your architect may be needed to select and hire subcontractors (e.g. builders, engineers and landscape architects) just as they may need to negotiate contracts with stakeholders. A good client-architect relationship will ensure they are your biggest advocate along the way during construction. Find residential architects on Houzz. To find the best architect for your home design project, narrow your search to find professionals in. Then browse their latest projects and read reviews. You can also look through photos of projects to find an interior architect or designer who has worked on a project similar to yours.